In addition to the WDR program of 31st January “Quarks & Co”, a special supplement section was dedicated to discuss in which ways blue light could affect our sleep. 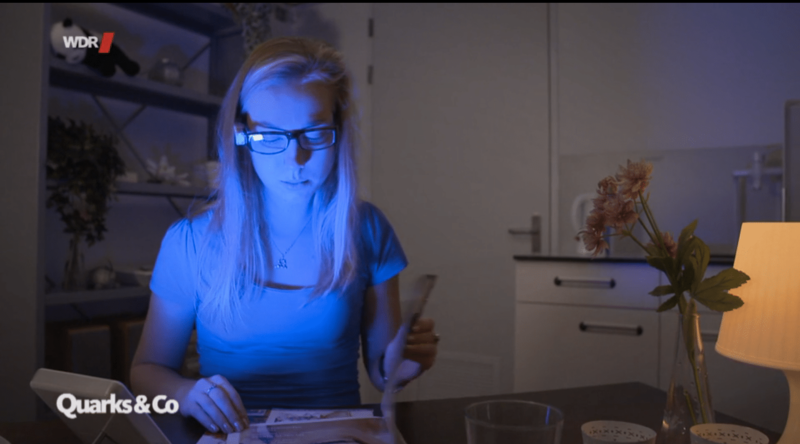 Dr Marijke Gordijn discusses how blue light could be used to make us feel more awake and alert during daytime. She also approaches the subject on how the use of smartphones, tablets and screens in the evening, because of their blue light content of their displays, might have a negative effect on our sleep.